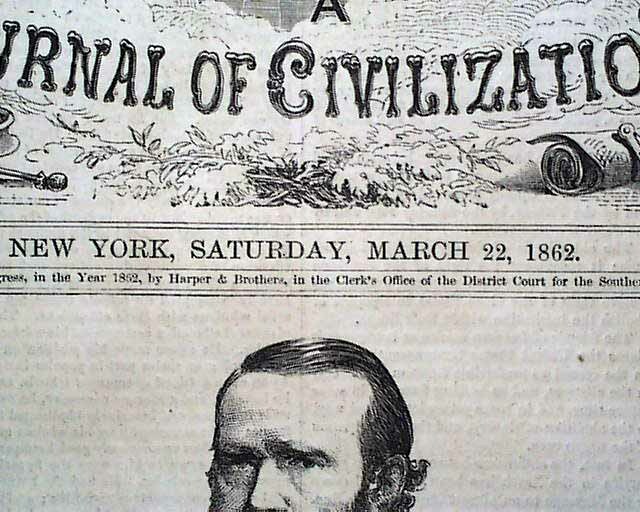 HARPER'S WEEKLY, New York, March 22, 1862 Certainly one of more notable issues of the Civil War as the focus is on the historic naval battle between the Monitor and the Merrimac. 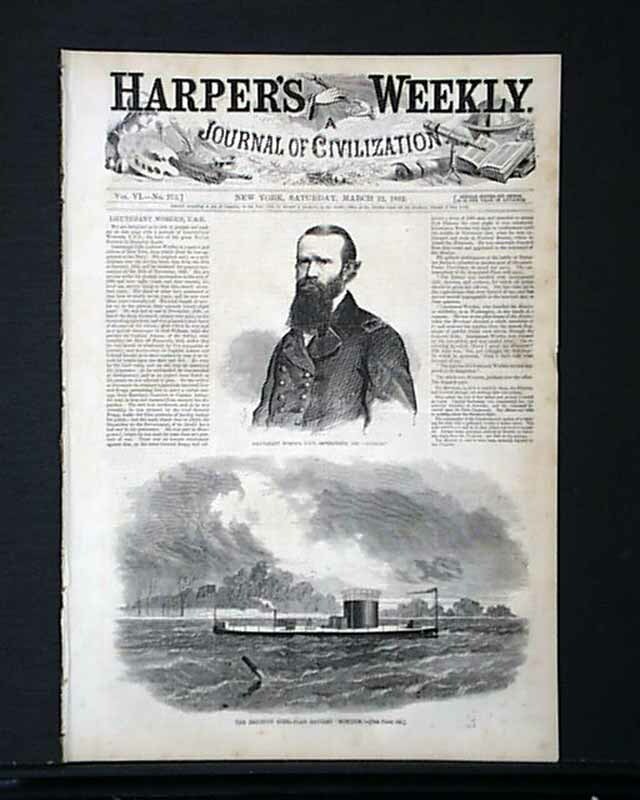 The front page features a print of: "Lieutenant Worden, U.S.N., Commanding the 'Monitor' " with text on him as well, and also a print of: "The Ericsson Steel-Clad Battery 'Monitor' ". 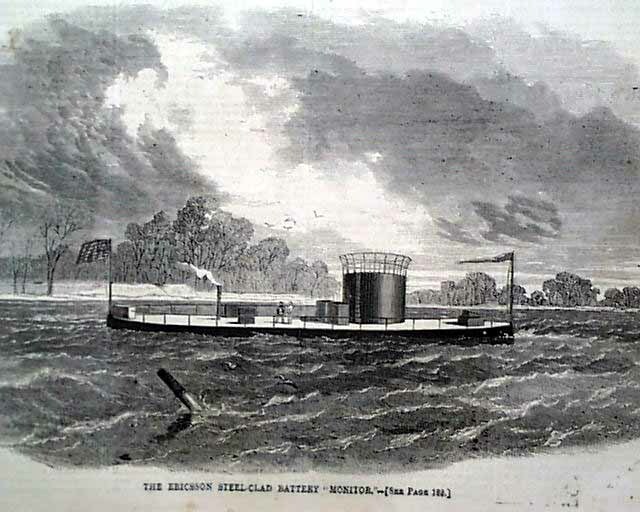 The prime feature would have to be the dramatic double page centerfold captioned: "The Ericsson Battery 'Monitor' Driving Off The 'Merrimac' " which is in the bottom half, with the top half showing the Merrimac vs. the Cumberland. 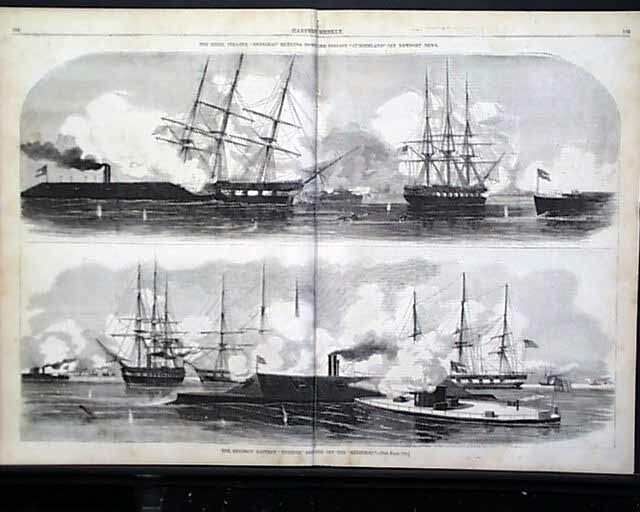 There is an article on this battle--the first between ironclad ships which would transform the navy for years to come--on another page headed: "The Naval Combat in the Chesapeake". 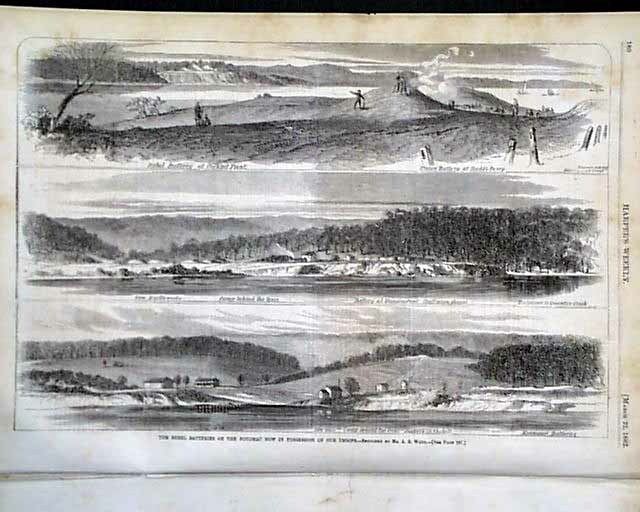 Other war-related prints include: "Interior of the Lower Water Battery at Fort Donelson"; a fullpg. 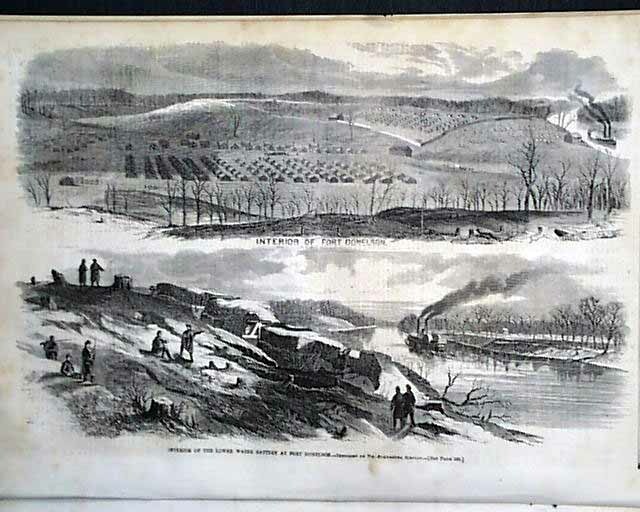 of 3 scenes: "The Rebel Batteries on the Potomac Now In Possession of our Troops", and a fullpg. 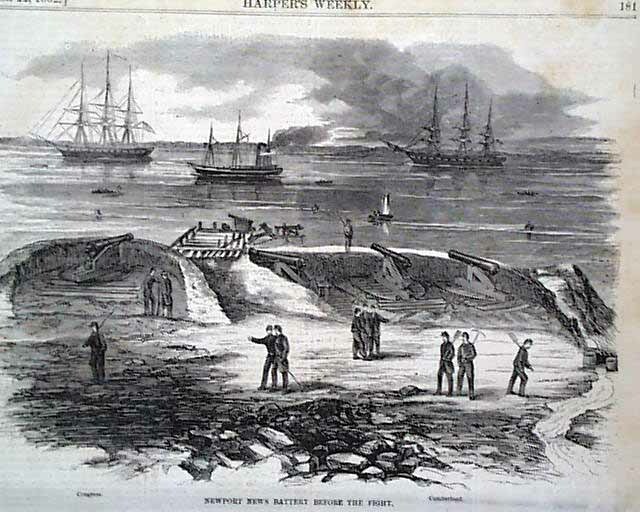 showing: "Newport News Battery Before the Fight" along with: "Brig. General Mansfield & Staff at Newport News During the Engagement". Complete in 16 pages, in good condition.